A two-level demo is now available for Edmund McMillen and Florian Himsl’s shooter The Binding of Isaac. Long in development, indie co-op RPG Wanderlust: Rebirth has finally been released. 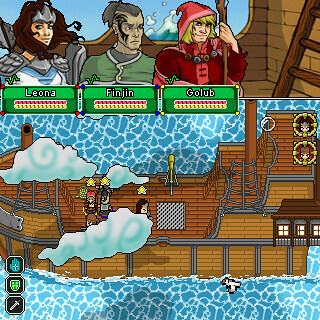 Available either as a single copy for yourself, or sold in discounted packs of up to four for groups of players, Wanderlust: Rebirth allows for the player and up to three co-op companions to choose from four varying character classes and play through both a ten-chapter story mode as well as a never-ending, ever-more difficult “Crawl” mode. A few weeks ago, I posted that the game had entered an “open beta” stage, and since that time, the game has undergone several changes based on feedback from the beta. I’ve played Wanderlust: Rebirth recently and so have decided to post a review of my time in the game, so be sure to read on after the jump. Online co-op rpg Wanderlust: Rebirth entered open beta today, allowing interested players to experience a polished preview of the game before its planned launch on June 14th. 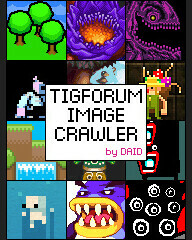 TIGSource has covered the game here before, and it’s exciting to see the game so close to release after almost five years in development. The beta spans the prologue and the first three chapters, includes a tutorial, as well as collectible gear and an item-crafting system. Characters created in the beta will be available once the final game releases, giving a nice head-start to those who play the beta. 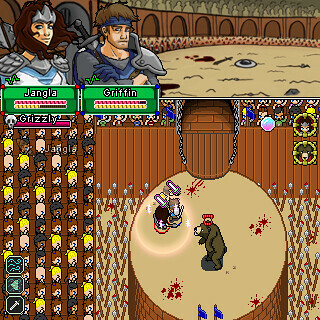 The creators have posted a short series of videos of them playing the game cooperatively, and another series of them playing the game’s “Crawl” mode (which will be available in the full game), which sees them fighting wave after wave of enemies in an effort to place on an online high-score board. Once the game releases, it will be sold either as single copies, or in packages of two, three, or even four games together at an overall discount, so be sure to jump online and bring a friend or three to check out Wanderlust: Rebirth. Superbrothers: Sword & Sworcery EP Micro (i.e., the iPod/iPhone version of the acclaimed game) was released the other day, so it should be available all over the modern world by now. Believe it or don’t, this is the creators’ preferred incarnation of the title, and only $2.99 USD to boot — a superb joy-to-dollar ratio if you ask me! Additionally, the original iPad version has now “gone universal,” which, I’m not sure, but I think means you princes and execs and pro athletes out there loaded enough to own multiple iDevices needn’t purchase it again. Truly now is the time of miracles! * Now featuring TIGSOURCE EXCLUSIVE tidbits direct from the superbrother himself!